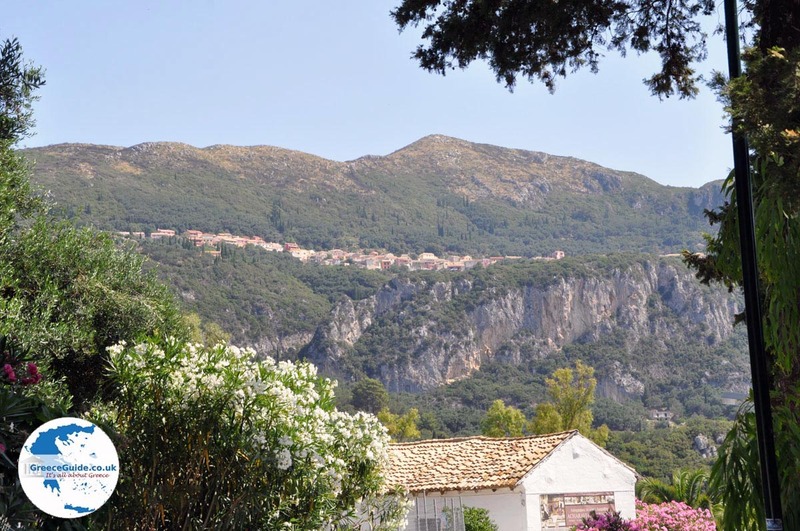 Palaiokastritsa or Paleokastritsa. 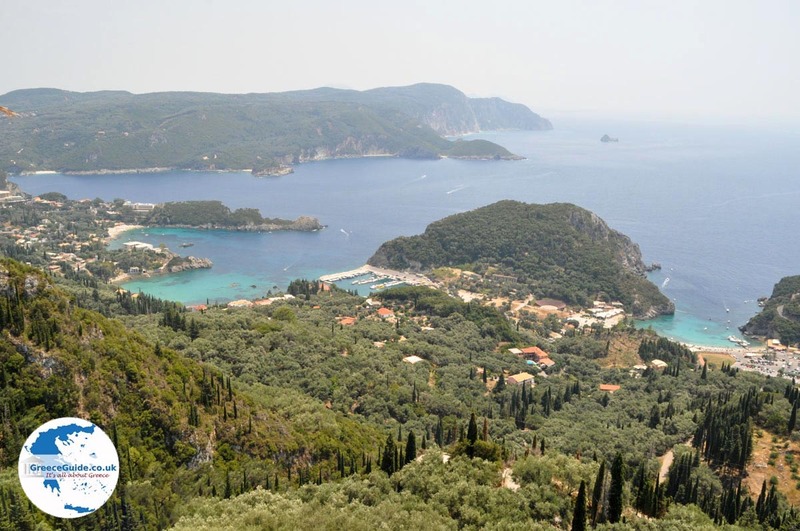 Paleokastritsa is a lovely seaside village on the west coast of Corfu, 23 kilometres from Corfu Town. 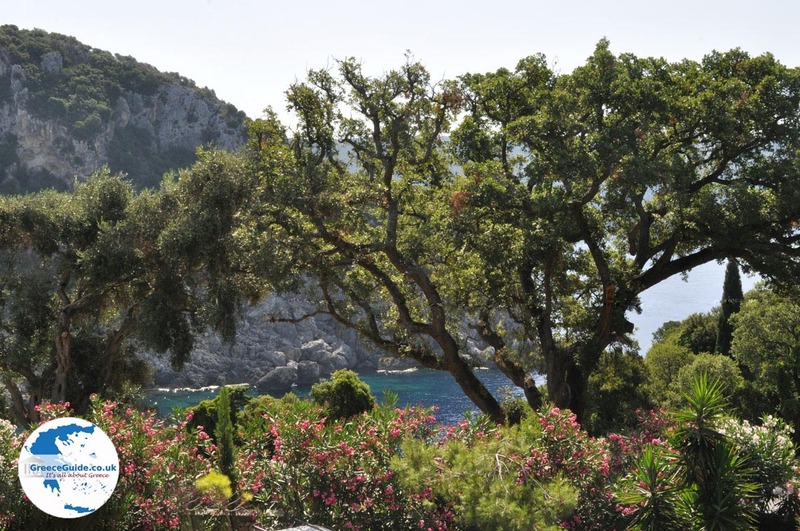 Paleokastritsa is built around sandy beaches and beautiful coves, it is surrounded by gorgeous green mountains. 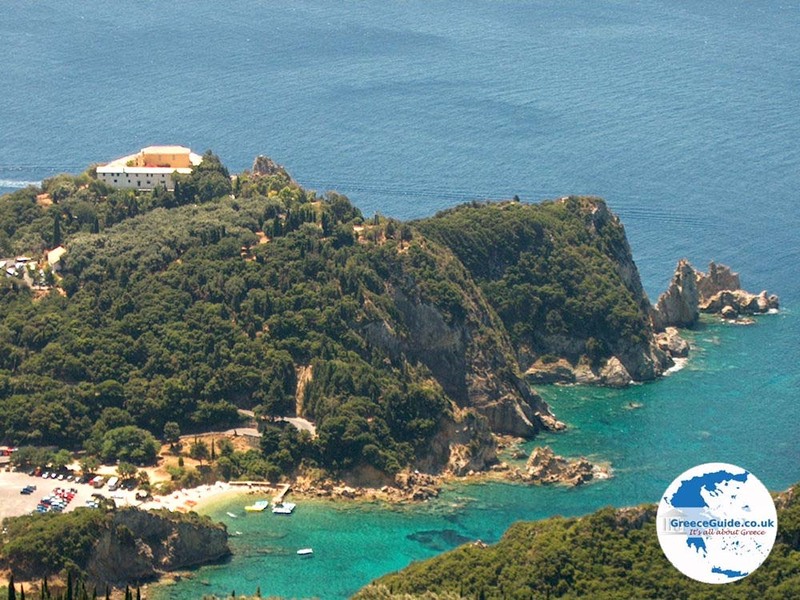 It is set in breath-taking beautiful surroundings, it is one of the most popular tourist spots of Corfu. It is a paradise and although the tourist developments have been inevitable, it is still a striking place that certainly keeps its charm. It is also an excellent place for snorkelling, you can see fish swimming in the clear sea. 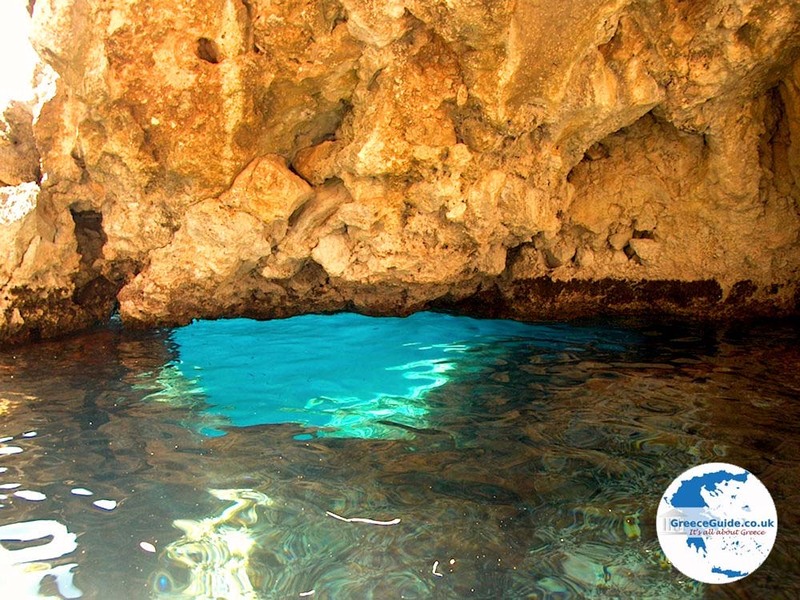 With a rented boat, you can explore the bays nearby and even go into the caves. You can sail around the bay with a glass bottom boat and look through the glass bottom to the fish. 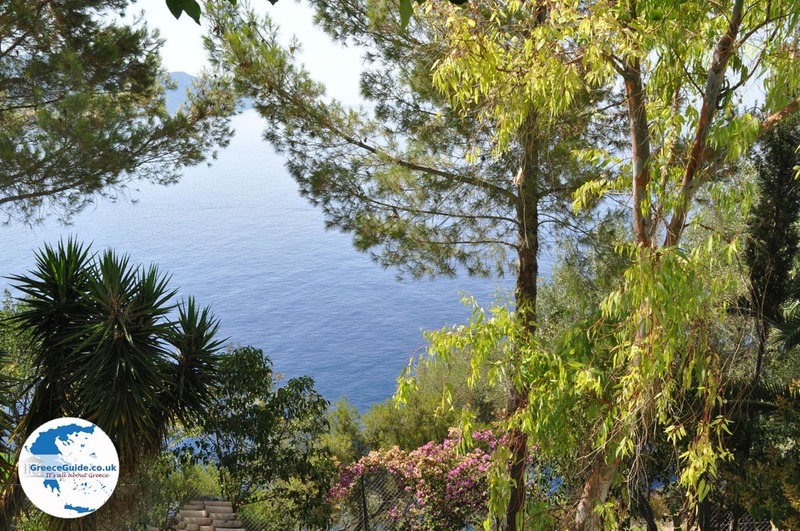 The steep wooded hills, the blue sea with crystal clear water, the magnificent bays and sandy beaches, make this place an ideal holiday destination. 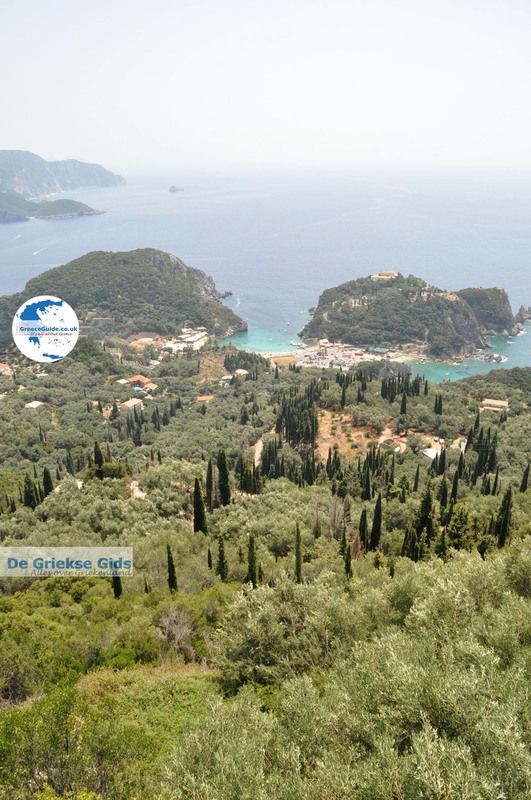 The road to Paleokastritsa is very good. 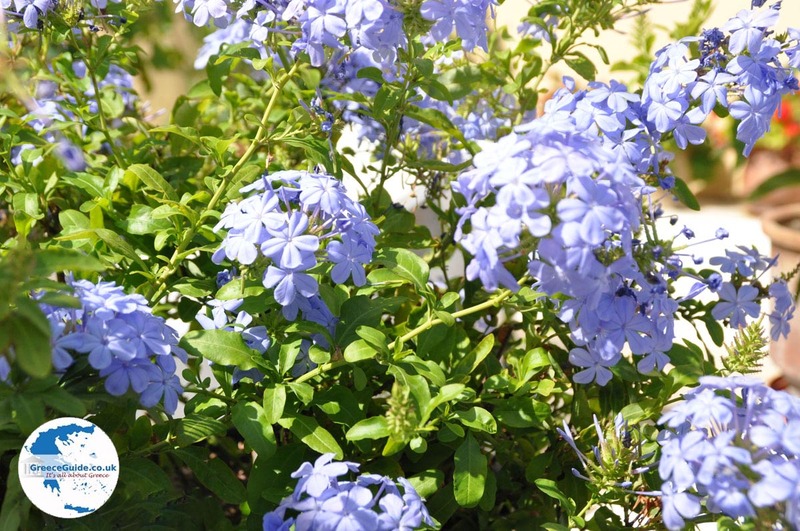 It was built by the crew of a British High Commissioner, who had discovered how beautiful it was there. 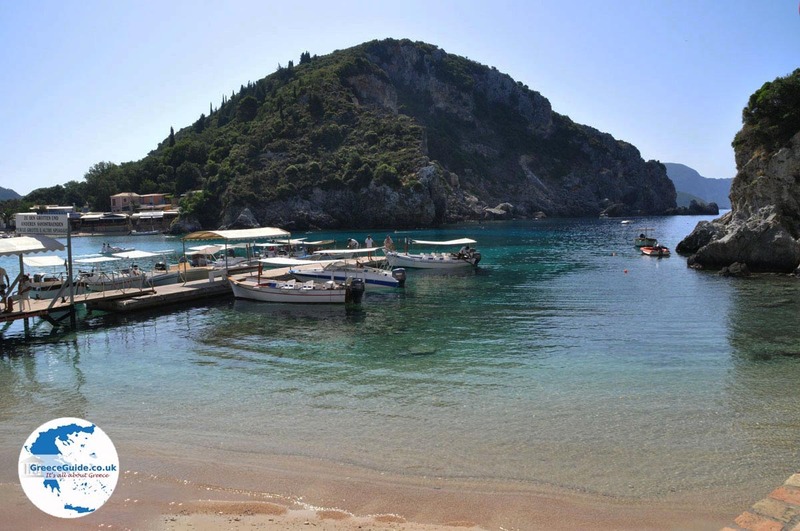 In Paleokastritsa is a harbour where sailing boots and touristic boats moor. 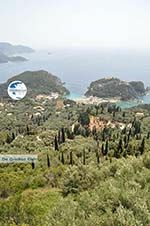 The coast and the whole area of â€‹â€‹Paleokastritsa are spectacular. 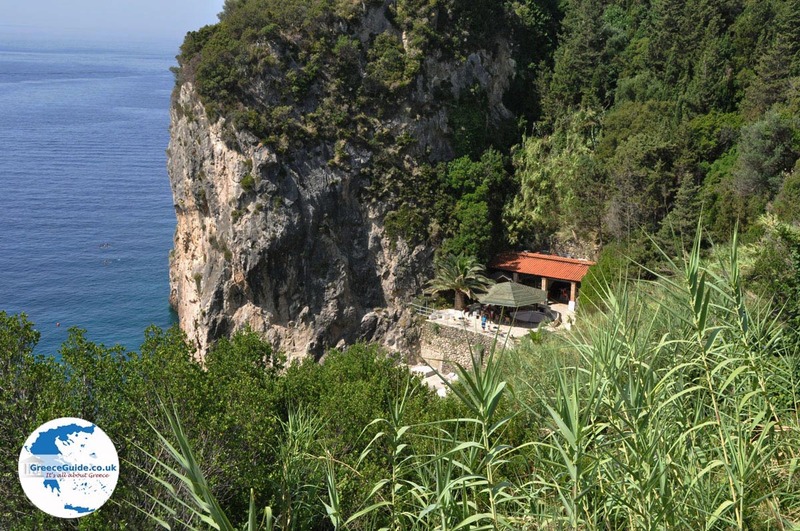 On top of a 300 meter high peninsula is the Monastery of Paleokastritsa. You can drive by car to the top and enter the monastery. It’s worth it. 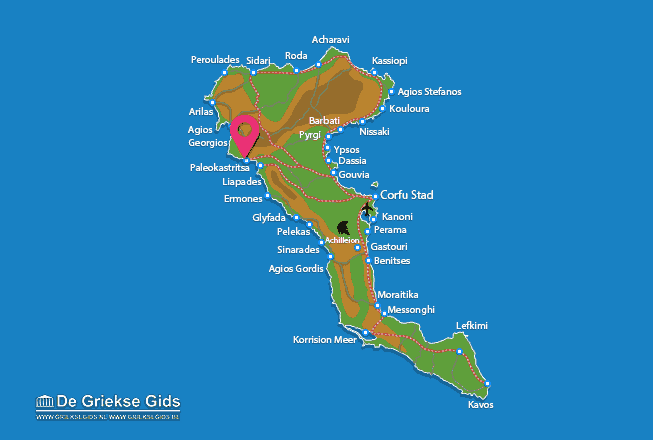 Corfu: Where on the map is Paleokastritsa located?